Tullio Renato Valmassoi (Tully) passed away on Sunday March 17th, 2019, to be with his Lord and Savior. 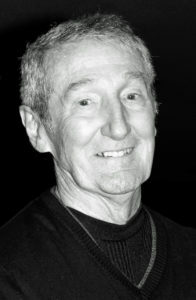 Tully was a loving husband, father, grandfather, brother, uncle, cousin, and respected friend to many. He was 89 years old and had a long and wonderful life. Tully will be fondly remembered by his daughter Kathy (Lee), son Terry (Elaine), his grandchildren Hailey (Michael), Taylor (Thu), Robert, and James, and his brother Nino (Ruth). Tully was pre-deceased by his wife Lorraine, and parents Attilio and Amelia. Tully was born in Domegge di Cadore, Italy on August 11, 1929. Shortly after his birth, his family moved to America and settled in Detroit, Michigan – where Tully grew up. After high school his family moved to California where he met Lorraine at the Methodist church youth group in Montebello. 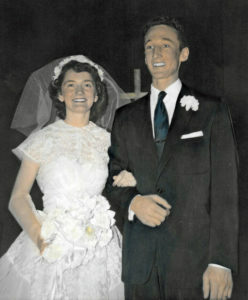 They were married March 29, 1953 and raised their family in Hacienda Heights, California. He graduated with a bachelor’s degree from Pasadena City College and received his masters from Whittier College. He loved his work in education where he spent most of his career as an elementary and middle school principal. He was highly respected by his peers, staff, and students and was honored as principal of the year. 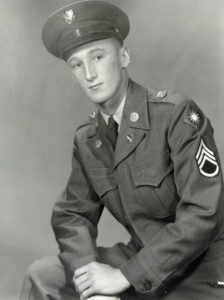 Tully served in the U.S. Army in the Korean War in 1952 and continued to serve in the National Guard until full retirement with the rank of Major. The military had a significant impact on his life and leadership skills. He made many lifelong friends from his time in the service and was proud to serve his country. Tully’s favorite hobby was flying. He owned a Cesena 195 and then later a Cherokee 180 and loved spending time at the airport, flying his plane, of just talking about airplanes. He also enjoyed reading, cars, boats, baseball, and a cold Bud Light. His favorite places to vacation were Dana Point, Catalina Island, and Santa Barbara (where he and Lorraine spent their honeymoon). 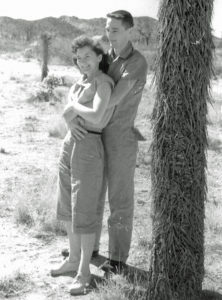 Tully and Lorraine moved to their special place, Palm Desert, CA where they both worked in education until their retirement. They shared many great memories together at Deep Canyon Tennis Club, where they owned a condo for over 40 years. Tully also enjoyed visiting the Palm Springs Air Museum, where he was honored for his service in the Korean War. Tully would always say “The desert calls!” – He loved to spend time there with friends and family. Tully and Lorraine lived in Palm Desert together until moving to Bothell, WA to be closer to their daughter in 2016. Tully loved his family. He was a thoughtful and sensitive man and had a special way of connecting in his relationships. He was a true example of honesty, integrity, generosity, and honor. Tully also had a playful and creative side and was quite a character. Although being a quiet man, he had a great sense of humor, he was quick with a prank and always had the best punchlines. To his family and friends, he will always be our “Top Gun”. Tully lost his adored wife of sixty-five years, Lorraine, on September 19, 2017. He was an amazing husband to his “Sweet Lorraine” and their marriage was an incredible example of love. Tully expressed his tender heart in poetry. He wrote hundreds of poems for Lorraine throughout their lifetime together. Tully missed Lorraine every day since her passing. What joy they are sharing being in the presence of their heavenly Father and together once again. In lieu of flowers please consider a gift to the VFW at www.vfw.org or the Palm Springs Air Museum at www.palmspringsairmuseum.org. Absolutely beautiful, both the character and charm of your sweet father, as well as his love for his darling wife. Blessings to you all as you miss Papa Tully! It was an absolute honor to have known them both. The Angles sing in Heaven for them. True example of Love. Beautifully written. You can’t help but to smile when you think about Tully. What a beautiful man with a beautiful heart who loved and served our country. I will remember all the special times we spent at the condo in the desert. He was so much fun to talk to, with a great sense of humor, and always an interesting or humorous story to tell. And, I remember him taking us up in his Cessna too. He is truly loved and will be truly missed. 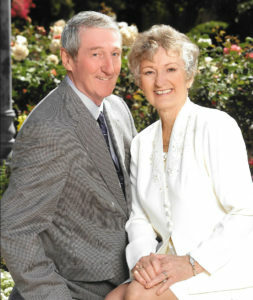 Praise God that he is together with Lorraine in heaven and our Lord Jesus Christ! Such great memories of being a young boy and hanging out with my second mom and dad. Airplane rides, motorcycle adventures and later in life a cold Bud Light in Palm Desert. So happy they are together again with our Heavenly Father. What a beautiful bio on your Dad. It capture to the “T” the man I knew since I was about 12 years old. I have vivid memories of hanging out at your home in Haciend Heights. The beer tap in the wall at the palm springs home, all the trip to Catalina where Tully and Lorraine would rent a place so we could celebrate your Birthday. I remember the joy he expressed when we were all together. I remember all the plane rides he took me on and the lunches the airport. I will miss his quite wit and never ending smile and the way he always made me feel like a kid what in his presence even as an adult! Blessings to you Tully, rest in the presence of our LORD. What wonderful memories I have of a wonderful cousin. I was so lucky and couldn’t have wished for better. He had a good sense of humor, gave me good advice and both my husband, Gianni, cherish the days we spent together with his beautiful Lorraine in Palm Desert. He and Lorraine will always have a special place in my heart. A beautiful tribute of an exceptional life. My prayers are with Tully’s family as they navigate their grief. God bless you with His peace.